Tina had been training at bootcamp twice a week for a year where she lost the first stone through out full body workouts. Like many women experience, she hit a plateau and decided to reach out for some nutrition advice. Read on to find out how she lost 8kg in 8 weeks. What were your goals before you started training? I had gained two stone over three pregnancies. I had lost one stone in one year and i couldn’t seem to lose anything else. I needed and wanted to lose this second stone. Yes, and more, I lost one stone and 2 pounds/8kg in 8 weeks. It was a healthy and most importantly a sustainable way to get to my next target weight. I learned so much about how a balance of nutrition will help your body to work harder for you. My shopping list is now different. What were good aspects of the training? What I enjoyed most through training was always being outdoors. It’s good for the mind also to be outside in the fresh air. I am not a gym person. The training is always different, you know what area of the body jess is focusing on at each time and it’s energizing. It is amazing and motivating to see how your body can change shape. Did you find anything particularly difficult? At the beginning there is a learning curve. You need to learn what to eat in order to balance out my macros. After about three days I was into it and when you see your weight changing so fast it is very motivating. 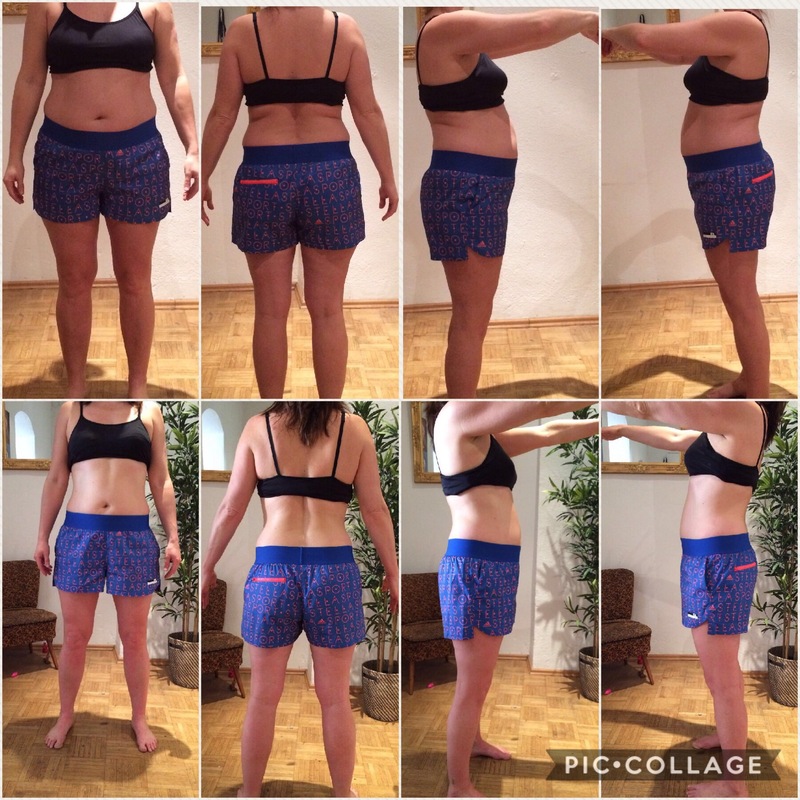 During one week out of the eight weeks my weight stalled and jess gave me new tips which I followed and the following week i lost another one and a half kilos. I know know how to eat a balanced diet. It’s a way of life now. What do you think helped you to be successful so far in your journey? Simple. Jess. In 8 weeks I lost a stone by working with jess and her Programm. On my own it took me 52 weeks!!! I couldn’t and wouldn’t have lost my 8 kg without jesss training and eating plan. I am thankful, everyday, that I started it. Would you have liked anything to have been done differently? In a word. No! It’s was perfect. I feel great. I have so much more energy, I fall asleep and stay sleep like I haven’t done for 8 years. It has been so exciting trying on old clothes that I had refused to ditch. If I ditched them, it meant I never intended on losing my baby weight. Now, I am wearing jeans that I kept for 8 years ( they are actually still in fashion, or must have come back in!!!). Zippers that wouldn’t go past my back now go up with extreme ease. I am motivated to keep going and reach a new goal weight. Now I know it is doable, I will do it. I am feeling fit, healthy and accomplished. Thank you Jess. It’s been a journey for me over the years and at times seemed like it was just too much weight and maybe this overweight person was the new me. I refused to accept that though as I knew it wasn’t really me but I couldn’t do it on my own. Thanks so much.